Researchers at ReVuln demonstrated how gain the control of an entire render farm exploiting the vulnerability affecting NVIDIA mental ray. Researchers at ReVuln recently published a paper that details a vulnerability affecting NVIDIA mental ray which allows an attacker to take control over a mental ray based render farm. Probably not all know what is a render farm and which is its primary function, a render farm is a group of network of computers (slaves) dedicated to the image rendering for large productions. Render farm provides a huge computational capability due the task they perform, simultaneously many dedicated processors work to the image rendering. The NVIDIA mental ray3 “is a feature rich, high performance 3D rendering software that creates images of outstanding quality and unsurpassed realism based on advanced ray tracing techniques”, it has been used by industry professionals for over 25 years becoming a standard for photorealistic rendering across the ﬁlm, visual effects, and design industries. It is embedded into several content creation applications (e.g. AutoDesk 3ds Max,  AutoDesk Maya) used in various contexts including Visual Effects, Feature Animation, Game Creation, Architectural Design, Product Prototyping and Design CAD visualization. ReVuln researchers have found a vulnerability affecting NVIDIA mental ray (result) version 3.11.1.10, which allows an attacker to load arbitrary DLLs on a target system, including a malicious remote library to gain the control of the render farm. What is interesting is that the vulnerability could be exploited sending a specifically crafted packet to the target (slave). In a typical attack scenario the attacker gets access to one of the systems available into the victim architecture and exploits the flaw in NVIDIA mental ray to get the control over the render farm. 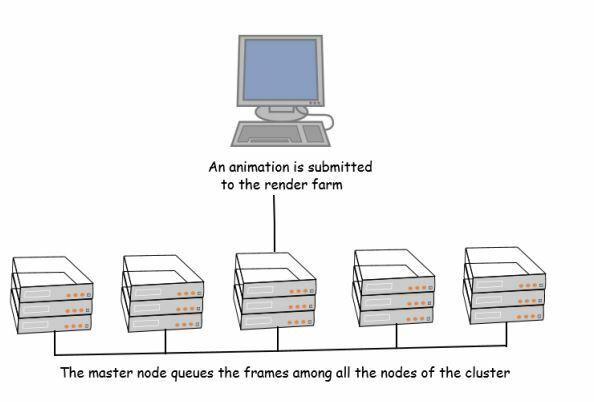 Why to hack a render farm? The attacker could be interested to abuse of the computational capability of the hardware composing the render farm, the powerful resources could be used by hackers to perform password cracking with bruteforce attack. Another interesting use of so huge computational capability, offered by numerous GPUs present in the render farm, is the Bitcoin mining … Sounds interesting, what do you think about?